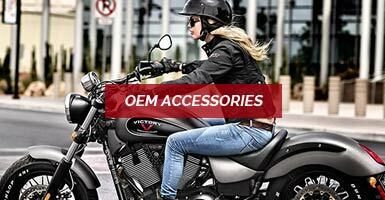 Find OEM Accessories for your Victroy Motorcycle. 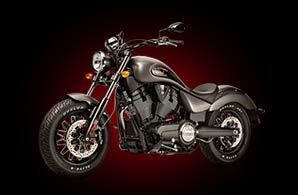 Choose Saddlebags, Backrests, Handlebars, Wheels and more. Got the parts in 3 days! 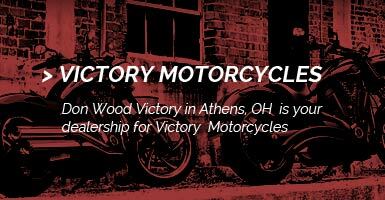 Don Wood Victory in Athens, OH is your dealership for Victory Motorcycles and Victory Parts. 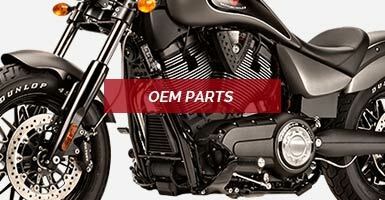 We have one of the largest inventory of Genuine Victory OEM parts and we're ready to use them on your Victory Vision, Hammer, Kingpin, Jackpot or Ness Signature Series Motorcycles. If you're working on a rebuild or just a simple oil change; on this site, you'll be able to find all the Victory parts you need. 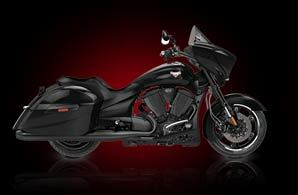 Our prices are also very competitive and we offer specials on products monthly! 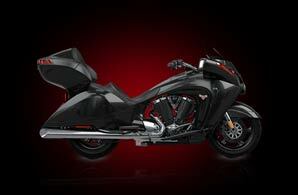 Visit our HOT DEALS of THE MONTH to see what we have on special this month! 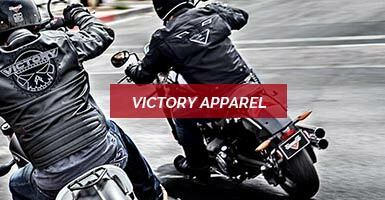 Don't forget to visit our Don Wood Victory website for deals on Pure Victory accessories and apparel! We also carry Aftermarket apparel and accessories from Western Power, Tucker Rocky, and all the Gear you need to Get out and Ride! Please feel free to give us a call if you have any questions!